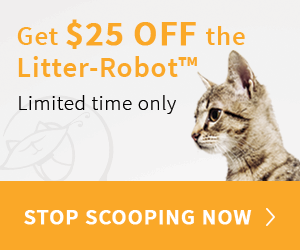 ​If you've been looking online for litter disposal systems you will have come across both the Litter Locker and the Litter Genie and probably asked yourself what's the difference and which is the best? I recently did an in depth review on both the Litter Locker and the Litter Genie you can read both of the reviews here Litter Genie Review and Litter Locker Review. ​The Litter Locker comes in white with grey and the Litter Genie is available in black and silver. Both the Litter Locker and the Litter Genie are practically the same size and weight. The Litter Genie is more rounded than the Litter Locker. The Litter Locker refills are round and the Litter Genie's are square. In terms of price, both of the units are fairly cheap to buy and make their money with the refill cartridges. Depending on where you're based (UK or USA) the Litter Genie is a slightly cheaper (not much though) than the Litter Locker. Both are very good at containing odours and saving you from visiting the outside bin often. But the Litter Genie Plus has seven-layer technology on its refill bags which I think just edges the Litter Locker. Both products are made from high-grade plastic and offer high-quality materials in their refill cartridges. ​Customer reviews are very important for any product you're looking to buy and it's no different with a litter disposal unit. You want to be buying something that you know is going to work as it's claimed to. You can check reviews on Amazon here for Litter Locker and Litter Genie. Both are rated at 4.5 stars. ​The Litter Locker is a UK based company and product and the Litter Genie a US based company and product. In most cases, your location should be the deciding factor. ​Ultimately both units are fantastic at what they do and you really have to split hairs to pick a winner. Their feedback on Amazon proves how good these products are. I would say if you're UK or Europe based go with the Litter Locker and if you're based in US or Canada the Litter Genie may be cheaper. I hope this ​answered your question of the Litter Locker VS Litter Genie.